Don, I often teach from 1 Timothy 4.6-16 a triad of competence, character, and calling that a balanced leader should exhibit. The nearest to it in the literature is when Kouzes and Posner in The Leadership Challenge and Covey in his works talk about finding your voice. 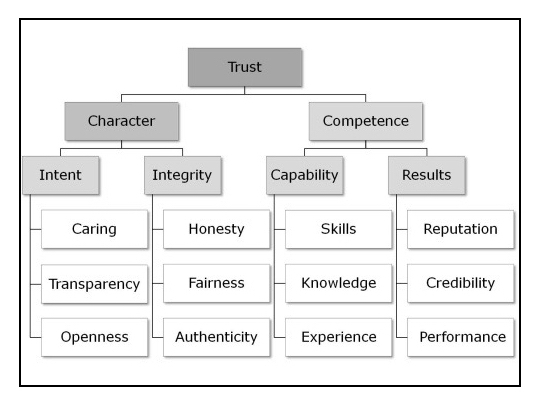 I think if a person’s actions stem from his passion, his calling (vocare, to call, vocation), it engenders trust because I know that emanating from the person is authentic, it is compelled by his calling or his genuine “voice.” In recent years I have added another “C” in using Culture, since leadership does not exist without a context. If I enter the culture of an organization and don’t acknowledge how deep and pervasive it is, and don’t give it its proper respect, it makes it difficult for the organization’s members to trust me. I have found this to be especially true here in Appalachia. My degrees and experience don’t count for much until I have demonstrated I have a genuine appreciation for the values of this region. Allan, I love the way you think. Your suggestion to add two more “c’s” is a good one: Calling and Culture. Brilliant. I am so glad we are friends. Thank you so much for message . Really it is need for a good Leader.